While I was wrapping up a line of Kit Kats I had indulged for the past year, I realised there were some that got left out. This is also part of the "adult sweetness" range (I wish there was a better way to describe this collection! ), orange peel. 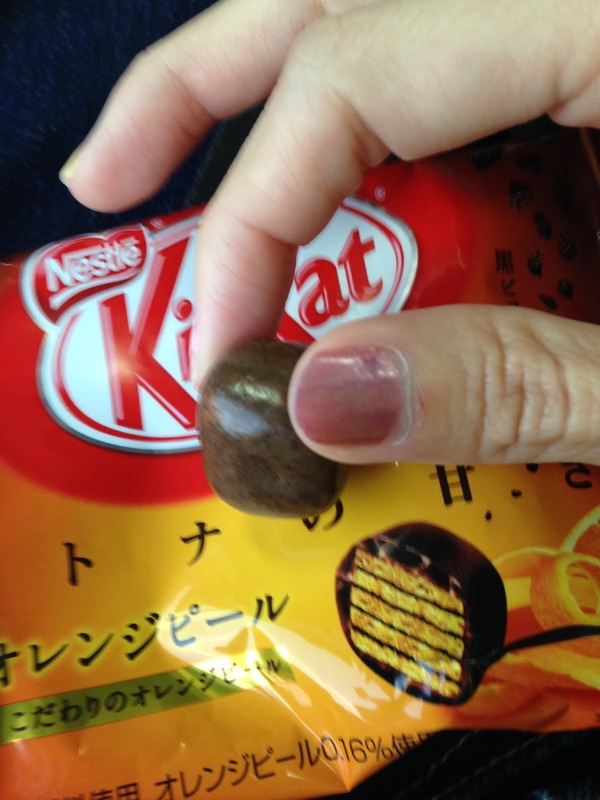 It's not the wafer kind, but little balls of crisp wafer coated in chocolate. 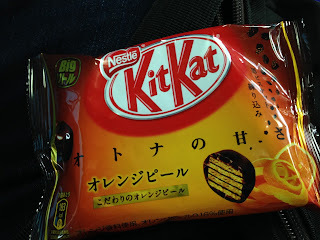 I had this while on the way to the airport to catch my flight to Sendai. It was late summer and for some reason traffic was so bad that it took almost twice the usual time to get there. I had never been late for flights before, and this was supposed to be my emergency stash. Since I was hungry, I had to eat this. These 2 above are some unique ones I found at the airport, so I didn't really taste them. I bought them for Swedish colleagues when I was there for business trip last August. This is of sakura matcha and Hokkaido red bean flavour. You'd be forgiven if you thought green tea and red bean are the only flavours available in Japanese dessert! I found these 3 at the Kansai airport while I was going to Taiwan to meet up with my ex-housemates. It was quite a spontaneous trip (I think I only confirmed a few weeks before), so this purchase was also quite spontaneous and I wanted to bring them for Imm. 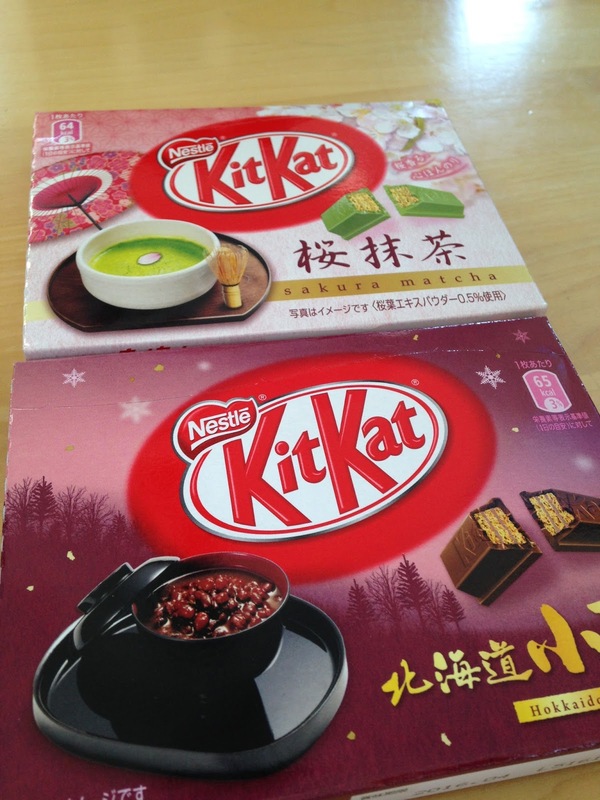 Imm - If you're reading this, you were supposed to get these : Japanese strawberry, sakura matcha, and Uji matcha flavoured Kit Kats. Too bad you were not feeling well, hope we get to meet again one day! I wonder if I have the most comprehensive list of Kit Kats ever? 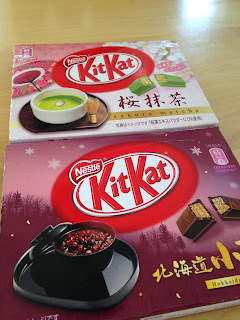 I think I've read some others, but I think it's quite impossible to get everything since each prefecture might have its specialty and each season will have different modification to a favourite flavour too.